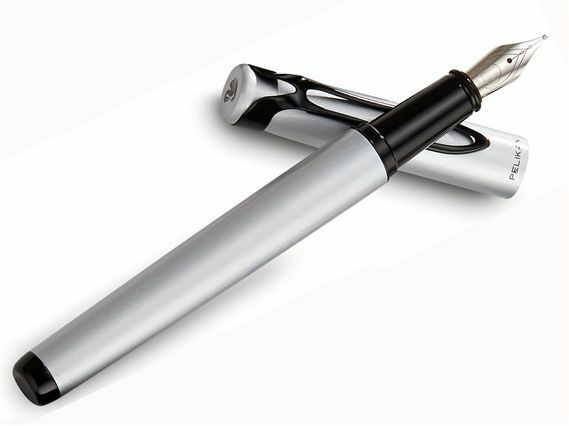 Order your Pelikan Stola III Fountain Pen today from FahrneysPens.com. Fine Pens, Refills & Luxurious Gifts – great prices & fast shipping. 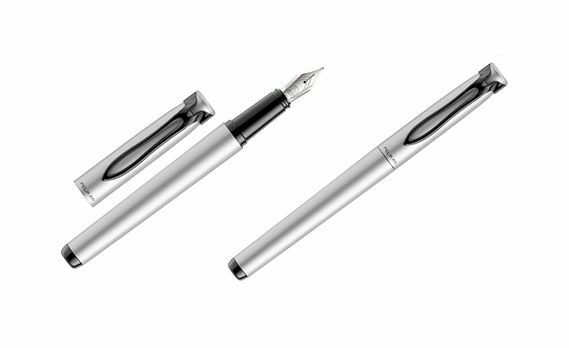 The new Pelikan Stola III is the ideal companion for every situation - at a very reasonable price! The dynamic and modern design is suitable from the classroom to the boardroom with its clear lacquered matte aluminum cap and barrel and elegantly curved, black ‘beak’ clip in stainless steel. 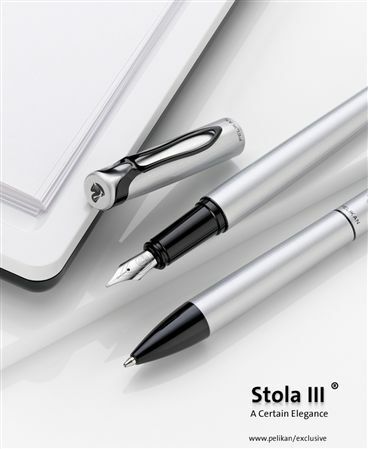 The Stola III fountain pen has a polished stainless steel nib and is equipped with a high-capacity ink cartridge. 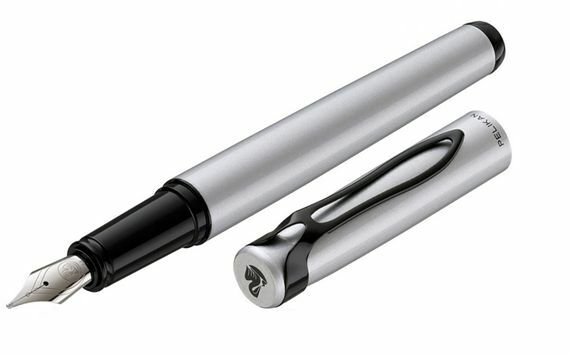 Add the matching twist ball pen and rollerball with snap-on cap and enjoy a trio of writing modes to bring your words to life! 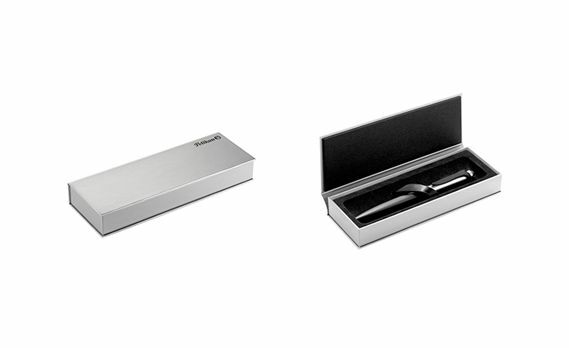 Delivered in an elegant silver-colored case that can hold up to two writing devices. Cartridge/converter fill. The cap is not meant to post. Just started using my new Stola III and I'm so impressed. I've got about a dozen fountain pens already, most of which cost at least twice as much, but this is going to be a favorite. I'm now using the cartridge that came with it but intend to switch to the converter (bought separately) when it runs out. A great starter fountain pen for a young person--or not so young, I suppose! It is a nice everyday fountain pen.